Joint Institute for Strategic Energy Analysis (JISEA) staff members participate in several national and international events. October 19, 2017 — With the shale gas revolution and the dramatic price declines in wind turbines and solar panels, these two rising energy sources are looking bright. But, can the oil and gas industry work with renewable energy industry to bring about a clean energy future? That question was the basis for the recent workshop on the Nexus of Oil & Gas and Renewables in the Energy Future held at the National Renewable Energy Laboratory (NREL) and sponsored by the International Energy Agency (IEA)'s Gas and Oil Technologies Collaboration Program (GOTCP). The two days were packed with presentations and tours, and there was time for lively discussion—and maybe a bit of debate—about what's needed for the two "sides" to work more closely together. One thing's for sure: what used to be an "us vs. them" mentality must now shift to an "us is them" mindset. IEA GOTCP Chairman Jostein Dahl Karlsen kicked off the workshop talking about how oil and gas and renewable energy, hand-in-hand, are the most reasonable way forward to a sustainable future. Keynote speaker John Hickenlooper, Governor of Colorado, encouraged us to focus on how to create cleaner energy at lower cost and least environmental impact. He believes there will be a slow transition away from hydrocarbons, and clean tech is one of the fastest growing sectors in Colorado. Bobi Garrett, NREL's Chief Operating Officer, highlighted that we are in the midst of an energy transition, with natural gas providing 35% and renewables 15% of the electricity in the U.S. with many countries leading the way toward clean energy. NREL's recent Annual Technology Baseline has shown the life cycle cost of electricity from both onshore wind and gas powered combined cycle plants are comparable at less than 5 cents/kWh and utility scale solar and geothermal electricity life cycle costs are well under 10 cents/kWh. Our final keynote, Christophe McGlade from the IEA, also noted that a major energy transition is underway. Natural gas will remain an important fuel as it helps integrate variable renewables, but methane emissions from natural gas cannot be ignored. The oil and gas industry may take up renewables in their operations and as an investment, especially in technologies with important synergies such as offshore oil/gas and offshore wind power. You can view the presentations and photos from this exciting workshop. We look forward to working together with colleagues from both these energy sectors to create a clean energy revolution. As our closing speaker encouraged us, electrons are as important as elections, and it's time to move from words to watts! April 12, 2017 — A new book, prepared by the United Nations University World Institute for Development Economics Research (UNU-WIDER) and co-edited by JISEA's Doug Arent, examines the political and economic factors of the transition from fossil fuels to clean energy. Published by Oxford University Press, The Political Economy of Clean Energy Transitions features a broad survey of relevant international experiences with a focus on both developing and developed countries. A downloadable copy of the book is freely available to anyone. The 21st Conference of the Parties (COP21) to the United Nations Framework Convention on Climate Change shifted the nature of the political economy challenge associated with achieving a global emissions trajectory that is consistent with a stable climate. The shifts generated by COP21 place country decision-making and country policies at center stage. Under moderately optimistic assumptions concerning the vigor with which COP21 objectives are pursued, nearly every country will attempt to design and implement the most promising and locally relevant policies for achieving their agreed contribution to global mitigation. These policies will vary dramatically across countries as they embark on an unprecedented era of policy experimentation in driving a clean energy transition. This book steps into this new world of broad-scale and locally relevant policy experimentation. February 28, 2017 — "Single-disciplinary science alone cannot adequately underpin policies and solutions to resolve major sustainability challenges," according to Dr. Pavel Kabat, Director General and CEO of the International Institute for Applied Systems Analysis (IIASA), a JISEA Research Affiliate. Earlier this month, JISEA hosted Professor Kabat at the National Renewable Energy Laboratory, where he spoke to a group of researchers and analysts about a systems approach to sustainability and IIASA's Global Energy Assessment (GEA). Released in 2012, the GEA links energy to climate, air quality, human health and mortality, economic growth, urbanization, water, land use, and other factors. The United Nations' Sustainable Development Goal (SDG) number 7—Affordable and Clean Energy—uses the GEA as a primary scientific underpinning. Professor Kabat is also full professor of Earth System Science at Wageningen University in the Netherlands, founding chair and director of the Royal Dutch Academy of Sciences and Arts Institute for Integrated Research on the Wadden Sea Region (the Wadden Academy), a member of the Leadership Council for the UN Sustainable Development Solutions Network, and co-founder of the high-level Alpbach — Laxenburg Group. The latter brings global leaders from academia, governments, businesses, and civil society together to support and advocate for sustainable transitions and sustainable development. Trained as a mathematician and hydrologist, Professor Kabat's almost-30-year research career has covered earth system science and global change, with a specific focus on land-atmosphere interactions, climate hydrology, the water cycle, and water resources. He is an author and coauthor of over 300 refereed publications (including 9 books), a member of 3 international editorial boards, and (co)editor of numerous special issues of peer-reviewed international journals. He has also contributed as lead author and review editor to the assessment reports of the Intergovernmental Panel on Climate Change, which was a co-recipient of the Nobel Peace Prize in 2007. December 8, 2016 — Nuclear-renewable hybrid energy systems (N-R HESs) can enable low-carbon, on-demand electricity while providing reduced-emission thermal energy for industrial processes. However, the economic feasibility of these systems may depend on future natural gas prices, electricity market structures, and clean energy incentives. N-R HESs are physically coupled facilities that include both nuclear and renewable energy sources and produce electricity and another product such as a fuel, thermal energy, hydrogen, and desalinated water. Energy and materials flows among energy production and delivery systems are dynamically integrated so that the production rate of each product can be varied. A series of new reports from the Joint Institute for Strategic Energy Analysis (JISEA) and Idaho National Laboratory (INL) examines various hybrid system configurations to provide a basis to identify opportunities for clean energy use and examine the most economically viable configurations. In one report, Generation and Use of Thermal Energy in the U.S. Industrial Sector and Opportunities to Reduce its Carbon Emissions, researchers from INL and the Energy Department's National Renewable Energy Laboratory (NREL) identify key greenhouse gas (GHG) emission sources in the industrial sector and propose low-emitting alternatives using targeted, process-level analysis of industrial heat requirements. The report examines emissions generated during process heat generation from the industrial sector. The study focuses on the 14 industries with the largest emissions as reported under the Environmental Protection Agency's Greenhouse Gas Reporting Program in 2014. Approximately, 960 plants from those industries represent less than one half of one percent of all manufacturing in the U.S., but they emit nearly 25 percent of all industrial sector emissions—5 percent of total U.S. GHG emissions in 2014. The report also identifies non-GHG-emitting thermal energy sources that could be used to generate heat without emissions. Those potential sources include small modular nuclear reactors, solar heat for industrial processes, and geothermal heat. The report identifies potential opportunities for each source, identifies implementation challenges, and proposes analyses to identify approaches to overcome the challenges. In a second report, Status on the Component Models Developed in the Modelica Framework: High-Temperature Steam Electrolysis Plant & Gas Turbine Power Plant, INL details a modeling and simulation framework to assess the technical and economic viability of an N-R HES. INL, with support from Oak Ridge National Laboratory and Argonne National Laboratory, developed a dynamic, physics-based modeling capability of N-R HESs using the Modelica programming language. The report presents details on newly developed high-temperature steam electrolysis (for hydrogen production) and gas turbine power plant subsystems. Simulations of several case studies show that the suggested control scheme could maintain satisfactory plant operations even under rapid variations in net load. The study finds that the N-R HESs modeled could provide operational flexibility to participate in energy management at the utility scale by dynamically optimizing the use of excess plant capacity. In a third report, The Economic Potential of Three Nuclear-Renewable Hybrid Energy Systems Providing Thermal Energy to Industry, NREL researchers explore the economics of an N-R HES that sells a thermal product (steam or a high-temperature heat transfer fluid) to one or more industrial customers. Under each scenario examined, the economically optimal system configuration includes a nuclear reactor generating a thermal product such as steam or a heat transfer fluid — a configuration that can economically reduce GHG emissions from industry. In addition, configurations that include a thermal power cycle can support resource adequacy for the electricity grid while maximizing production of the thermal energy product if the markets sufficiently incentivize that option. Together, these three reports indicate nuclear renewable hybrid energy systems can reduce industrial emissions and support the power system. The Joint Institute for Strategic Energy Analysis is operated by the Alliance for Sustainable Energy, LLC, on behalf of the U.S. Department of Enrgy's National Renewable Energy Laboratory, the University of Colorado-Boulder, the Colorado School of Mines, Colorado State University, Massachusetts Institute of Technology, and Stanford University. December 2, 2016 — A new report in JISEA's natural gas and the evolving U.S. power sector monograph series explores the market potential of low-carbon natural gas for transportation in California. The monograph analyzes economic and lifecycle greenhouse gas emissions and finds that low-carbon natural gas production potential in California could result in natural gas vehicle adoption by 2030. Read the monograph. November 17, 2016 — The University of Colorado – Boulder, a JISEA founding partner, will offer an online course this spring, open to students around the world. The global energy system is at the beginning of a massive and fundamental transformation; from a centralized and carbon-intensive system to one that is lower-carbon, distributed, and technologically nimble. How does the energy system work, what is driving its rapid change, and what changes are ahead? The Energy Systems and Technologies course provides a strong basic grounding in energy science and technology. The course starts with basic energy concepts such as power, resources, and carriers, and then moves on to how we produce, transform, and consume energy. The course explores how energy use contributes to environmental challenges, notably climate change. The course also assesses alternatives, including renewables and energy efficiency, to better understand their potentials and limitations. Read the course flyer for more information. Nov. 1, 2016 — When it comes to natural gas leaks, only 5% of the sources are responsible for more than 50% of the total volume of leakage in the United States. This is according to a new study, Methane Leaks from Natural Gas Systems Follow Extreme Emissions. The study was a collaboration between the National Renewable Energy Laboratory (NREL), Stanford University, and Colorado State University. Colorado Public Radio interviewed one of the study's authors, Senior Scientist Garvin Heath of NREL. Read the interview. September 30, 2016 — Doug Arent has been named an expert judge for 100&Change. 100&Change is a MacArthur Foundation competition that will award one grant of $100 million for a proposal that promises to make real progress toward a significant problem. Applications are accepted from non-profit and for-profit organizations from around the world. Applicants must identify the problem as well as the proposed solution. A panel of expert judges will analyze each proposal, score the proposal based on a set of criteria, and give feedback. The judges were chosen based on their experiences and body of knowledge. The highest-scoring proposals will go through further review. Learn more about the competition. September 30, 2016 — United Nations University World Institute for Development Economics Research (UNU-WIDER) recently interviewed JISEA executive director Doug Arent. During the interview, Arent discussed the importance of clean energy and the impacts of climate change. Watch the interview. July 12, 2016 — In a new GreenMoney article, JISEA's executive director Doug Arent highlights the changing power system and investment landscapes, the Paris commitments, and the state of play in the green investment market. "Filling the growing demand for clean energy solutions is anticipated to spur increased growth across the industry and new innovation, particularly with new ambitious targets to double clean energy research and development by 20 leading countries to more than $20 billion per year. These innovative solutions will not only help achieve the bold climate mitigation targets, but will also represent unprecedented opportunities for smart investors," says Arent in the article titled, "After Paris, the Smart Bet is on a Clean Energy Future." Energy-related projects are developed in evolving natural and political environments, and their impacts and economics are neither fixed in time nor distributed evenly in space. Energy and environmental research has often focused on snapshots of particular regions, as many evaluation tools do not consider spatiotemporal factors. The gap in understanding such factors poses a significant challenge for those evaluating energy decisions. For example, the water-energy nexus becomes increasingly significant for decision support when local resources are scarce, yet technology assessments typically do not consider spatiotemporal variability across regions. The costs associated with environmental mitigation can and often do differ by region as well as over time. Climate-related policies are developed according to a region's political influences even as greenhouse gas emissions vary geographically according to several factors, such as available resources, the technology in use, the vintage of the existing infrastructure, and local climate. Related challenges involve comparing the land use of energy technologies when impacts are locally dependent and comparing spatial requirements of renewable and non-renewable projects over time. In this webinar, we will discuss a suite of emerging approaches covering climate, water, and land with the goal of overcoming some of these challenges. Dr. Sarah Marie Jordaan is an Assistant Professor of Energy Policy and Politics at the University of Calgary. She has over a decade of experience researching energy and the environment with award winning publications on climate policy and the water implications of energy technologies. Her foundations in government and public policy were strengthened at Harvard University with the Energy Technology Innovation Policy research group at the Kennedy School of Government and she gained greater insight into climate science at the Department of Earth and Planetary Sciences. She has held positions with the Electric Power Research Institute, the Laboratory on International Law and Regulation at the University of California, San Diego, and the Ocean Sciences Center at the Memorial University of Newfoundland. She earned her Ph.D. in 2010 at the University of Calgary in Environmental Design at the Institute for Sustainable Energy, Economy, and Environment. Her Bachelor's degree is in Physics with a minor in Computer Science from Memorial University. Methane accounts for approximately 10% of greenhouse gas emissions, and one-quarter of those emissions come from the natural gas sector. This Pathways to Decarbonization webinar on April 20 will review JISEA's work to illuminate areas of opportunity for abatement and the economic effects of various abatement scenarios. The presenters will discuss methods of estimating methane emissions from the natural gas sector and opportunities for improving these approaches, the economic potential of methane reduction, and opportunities for cost-effective emissions reduction throughout the natural gas supply chain. Garvin Heath is a senior scientist at the National Renewable Energy Laboratory (NREL). His areas of expertise include life cycle assessment, sustainability analysis, air quality modeling, and exposure assessment. He was an author of JISEA's first major natural gas report in 2011, Natural Gas and the Transformation of the U.S. Energy Sector: Electricity. His other research interests include health and environmental impacts of energy technologies. Ethan Warner is an energy systems analyst at NREL. His areas of expertise include life cycle assessment, system dynamics modeling, energy policy. His research interests encompass systems modeling and sustainable analysis, especially focused on increasing understanding of the interconnections between technology supply chains, the economy, and the environment. David Keyser is research analyst at NREL. His areas of expertise include economic impact studies, time series analysis, and analysis of labor and demographic data. His research interests span static and dynamic economic impact models, labor data estimation, econometric modeling and forecasting, and regional economics. April 13, 2016 — Natural gas—in combination with other technologies, practices, and policies—is fundamentally reshaping the U.S. power sector. On April 13 at 10 a.m. MDT, researchers from the Joint Institute for Strategic Energy Analysis (JISEA) will present results from three recent studies on natural gas and the U.S. power sector. The first study reviews regional and sectoral trends of natural gas use in the power sector. The second presents scenarios of natural gas as a "bridge" to a decarbonized power system and explores the question of how long we can continue to produce electricity from gas while staying on a path toward long-term climate sustainability. The third study focuses on potential synergies of natural gas and renewable energy in a two-part analysis: the first summarizes key takeaways from a series of regional stakeholder meetings that focused on challenges and opportunities of pairing renewables with natural gas, while the second quantifies the value proposition of investing in the two sources of energy together in specific applications. The presentations will be followed by a question and answer session with the audience. View slides. February 16, 2016 — In the second in a monograph series, JISEA examines the role of natural gas as increasingly strict carbon emission targets are imposed on the electricity sector. Do electricity sector trends mean that natural gas can serve as a bridge fuel, replacing the more carbon-intense coal generation in the near term and eventually phasing down in favor of zero-carbon emission resources? This analysis indicates that the answer may depend on the price of natural gas and the level of carbon reduction targets in place. Learn more about the report. December 15, 2015 — In a new blog post for the Cynthia and George Mitchell Foundation, JISEA executive director Doug Arent discusses possible synergies between renewable energy and natural gas. "While the two resources were historically viewed as competitors, natural gas and renewables are increasingly recognized as complementary," says Arent. Read the full blog here. October 14, 2015 — JISEA's latest report provides a high-level view of recent trends in the U.S. electricity sector, and how natural gas is affecting policy, operational, and investment decisions therein. This report is the first in a monograph series focusing on natural gas and the electricity sector. A second monograph will explore the question of natural gas as a bridge to a more sustainable electricity sector, and a third will consider the flexibility attributes that natural gas can offer to electric power sectors around the world. Learn more about the report. October 5, 2015 — Jill Engel-Cox joins JISEA today as deputy director. In this role, Engel-Cox will also serve as program director of the Clean Energy Manufacturing Analysis Center (CEMAC). Engel-Cox brings a wide array of clean energy technology experience to JISEA. As deputy director, Engel-Cox will define and lead JISEA analytical activities and help develop and administer programs. "I am excited to welcome Jill to JISEA and CEMAC. Her expertise is a natural fit for JISEA, and the entire JISEA community is looking forward to her contributions," said Doug Arent, executive director of JISEA. Engel-Cox has been an engineer, researcher, program manager, and strategic planner for a diverse suite of renewable energy, clean technology, and environmental programs. Most recently, Engel-Cox was the director of international research and development planning at Battelle. She holds a doctoral degree in environmental science from the University of Maryland, Baltimore County and a master's degree in mechanical engineering from Colorado State University. Read Jill Engel-Cox's full bio. August 17, 2015 — JISEA welcomes its newest Research Affiliate: the Energy Institute at The University of Texas at Austin. The Institute leverages the expertise of faculty to study critical energy policy questions, and is dedicated to broadening the educational experience of students by creating a community of scholars around energy issues of importance to Texas, the nation, and the world. "The UT Energy Institute's energy policy research and analysis complements JISEA's mission to guide the transformation of the global energy economy," said Doug Arent, JISEA's executive director. "The Institute's expertise on the energy/water nexus and energy economics specifically will valuably augment JISEA's capabilities in these areas." "The UT Energy Institute and JISEA are uniquely positioned to inform global energy policy decisions," said the Energy Institute's deputy director Michael Webber. "We are excited to see what we can do together." July 13, 2015 — A new article in the National Renewable Energy Laboratory's (NREL's) Continuum Magazine spotlights JISEA's work on natural gas and renewable energy synergies. "JISEA…has the credibility and prestige to gather the most influential stakeholders and thought leaders for lively exchanges on the dynamics, issues, and opportunities facing the natural gas and renewable energy industries," the article says. Read the full article. May 4, 2015 — A new JISEA report, Pathways to Decarbonization: Natural Gas and Renewable Energy: Lessons Learned from Energy System Stakeholders, captures key insights from the workshop series, Synergies of Natural Gas and Renewable Energy: 360 Degrees of Opportunity. The workshops, convened by JISEA in collaboration with the Center for the New Energy Economy and the Gas Technology Institute, explored natural gas (NG) and renewable energy (RE) synergies in the U.S. power sector. The report also details results of supporting economic valuation analyses conducted by JISEA researchers that quantify the value proposition of investing in NG and RE together as complements. The analysis finds that from a system-wide perspective, NG-RE synergies offer portfolio risk-reducing benefits. A key driver for NG and RE synergies will be the ability to operate systems in a way that creates value for the customer, such as by providing more reliable, resilient, and affordable service. May 5, 2015 — JISEA's Doug Arent has joined the editorial board of the journal Sustainability. Arent joins internationally-renowned experts on the "Energy Sustainability" section board. Sustainability addresses environmental, cultural, economic, and social sustainability of human beings. March 2, 2015 — A new JISEA report sponsored by Ecomagination of General Electric examines cost reduction and technology improvement trends for a suite of renewable electricity generation options, and illuminates other factors that may influence their deployment through 2025. Advancements in technologies and experience gained from decades of learning have dramatically changed electricity markets worldwide. Renewable electricity is better positioned than at any time in history to provide increased value to customers, utilities and system operators, and contribute to the new wave of electricity systems solutions. January 22, 2015 — At the International New York Times' "Energy for Tomorrow" conference, JISEA's Doug Arent presented a picture of the utility of the future during the "Next-generation Utilities" panel. The panel was chaired by Andrew Revkin, writer for the New York Times' Dot Earth blog and included panelists from major Malaysian utilities. See Arent's presentation. January 22, 2015 — A new report published by the World Economic Forum offers guidance on transforming the electricity sector to a more sustainable, affordable, and reliable system. The Future of Electricity outlines recommendations for policymakers, regulators, and businesses in developed markets to attract needed investment. JISEA's Doug Arent contributed to the report. View the press release from the World Economic Forum. January 12, 2015 — A new study published in the Proceedings of the National Academy of Sciences and edited by JISEA's Doug Arent assesses 10 alternatives to conventional gasoline vehicles and the life cycle air quality impact of each on human health. The study finds that electric vehicles (EVs) powered by electricity from natural gas or wind, water, or solar power are best for improving air quality. Vehicles powered by corn ethanol and EVs powered by coal appear to increase environmental health impacts relative to conventional gasoline. Arent edited the article, "Life cycle air quality impacts of conventional and alternative light-duty transportation in the United States," as an invited guest editor of the journal's Editorial Board. October 6, 2014 — JISEA's Doug Arent has been named to the International Advisory Board of Energy Policy. One of the top journals in its field, Energy Policy addresses policy implications of energy supply and use from various perspectives. Arent's work has appeared multiple times in the journal. July 21, 2014 — A new study published in the Proceedings of the National Academy of Sciences says estimates of life cycle greenhouse gas (GHG) emissions from electricity generated from shale gas are similar to those from conventionally-produced natural gas, and both energy sources, on average, emit approximately half the GHG emissions of coal-powered electricity. However, under certain circumstances, the emissions for conventional and shale gas electricity can reach levels approaching best-performing coal-fired plants. Published on July 21, "Harmonization of Initial Estimates of Shale Gas Life Cycle Greenhouse Gas Emissions for Electric Power Generation," uses a meta-analytical technique called harmonization to compare existing studies estimating life cycle GHG emissions from shale gas, conventionally-produced natural gas, and coal. "Published studies and articles about greenhouse gas emissions have come to widely differing conclusions; harmonization helps to clarify the existing knowledge on this important topic," National Renewable Energy Laboratory Senior Scientist and lead author Garvin Heath said. "With a more 'apples-to-apples' comparison provided by harmonization, a clear tendency emerges in the published literature. We see that life cycle GHG emissions from electricity generated from shale gas are similar to those from conventionally-produced natural gas. Both energy sources, on average, emit approximately half the GHG emissions of coal-powered electricity when considering emissions from the smoke stack and those upstream through the supply chain. Further, through development of novel probability distribution functions, we find assumptions about lifetime production of wells and the practice of liquids unloading to have the greatest influence on the results." Study authors—Heath and Patrick O'Donoughue of NREL and Douglas Arent and Morgan Bazilian of the Joint Institute for Strategic Energy Analysis—emphasized the importance of actual measurements of GHG emissions to advance understanding of energy options. "Harmonization of prior estimates of GHG emissions provides greater precision, but does not fully address the questions of accuracy of our knowledge of GHG emission sources in the natural gas supply chain, questions we highlighted in our recent article in Science magazine synthesizing 20-plus years of research on methane leakage from natural gas systems," Arent said. "As called for in that article and this one, verified measurements of emissions from components and activities throughout the natural gas supply chain, and robust analysis of lifetime well production and the prevalence of practices to reduce emissions, can help create a more robust understanding of our energy options." The study team screened hundreds of published life cycle assessments for quality and modern relevance, including dozens related to conventionally produced natural gas and shale gas. In addition, the team conducted sensitivity analysis on three important activities in the production of shale gas—well completion, well recompletion, and liquids unloading. Previous research had found these activities to be significant to life cycle GHG emissions. When considering these additional factors, shale gas life cycle GHG emissions could approach the range of best-performing coal-fired generation. JISEA conducts leading-edge interdisciplinary research and provides objective and credible data, tools, and analysis to guide global energy investment and policy decisions. JISEA is operated by the Alliance for Sustainable Energy, LLC, on behalf of the National Renewable Energy Laboratory, the University of Colorado-Boulder, the Colorado School of Mines, the Colorado State University, the Massachusetts Institute of Technology, and Stanford University. Integrated Energy Systems — optimization of energy systems across multiple pathways and scales, including the nexus of natural gas and renewable energy. JISEA's IRAAP provides funding for collaborative teams from our founding partner institutions: the National Renewable Energy Lab (NREL), the Massachusetts Institute of Technology, Stanford University, the University of Colorado-Boulder, the Colorado School of Mines, and Colorado State University. A pre-proposal is required; only invited teams will be asked to submit full proposals. Invited full proposals will be due Friday, September 26, 2014. Participating teams must be collaborative, consisting of at least one NREL principal investigator and at least one principal investigator from one other JISEA partner institution. April 2014 — The White House honored solar energy deployment Champions of Change from across the United States during a full-day event April 17. The event featured panels discussing the successes of community leaders, innovators, educators, and organizers in creating opportunity for solar power and in driving policy changes at the local level to advance solar deployment in the United States. Arent moderated a panel focused on how solar, along with other renewable energy technologies, can work synergistically with natural gas to advance our nation's energy portfolio, and facilitate the path toward a clean energy future. During the panel it was announced that JISEA would host a series of workshops focused on the unique opportunities for greater synergistic use of natural gas and renewable energy. The workshops—part of a larger White House initiative supporting solar deployment and jobs—will be held in four locations: New York, Washington DC, Texas, and California. To learn more about the JISEA workshops, contact the JISEA Coordinator. JISEA's Doug Arent at the 10th Session of IPCC Working Group II, held 25 – 29 March 2014 in Yokohama, Japan. March 2014 — The Intergovernmental Panel on Climate Change (IPCC) issued a report today that says the effects of climate change are already occurring on all continents and across the oceans. The world, in many cases, is ill-prepared for risks from a changing climate. The report also concludes that there are opportunities to respond to such risks, though the risks will be difficult to manage with high levels of warming. The report, Climate Change 2014: Impacts, Adaptation, and Vulnerability, from Working Group II of the IPCC, details the impacts of climate change to date, the future risks from a changing climate, and the opportunities for effective action to reduce risks. JISEA's Doug Arent was coordinating lead author of chapter 10 of the report. A total of 309 coordinating lead authors, lead authors, and review editors, drawn from 70 countries, were selected to produce the report. The authors and editors were selected in 2010 from a pool of more than 1,200 nominations. The report concludes that responding to climate change involves making choices about risks in a changing world. The nature of the risks of climate change is increasingly clear, though climate change will also continue to produce surprises. The report identifies vulnerable people, industries, and ecosystems around the world. It finds that risk from a changing climate comes from vulnerability (lack of preparedness) and exposure (people or assets in harm's way) overlapping with hazards (triggering climate events or trends). Each of these three components can be a target for smart actions to decrease risk. Download the Summary for Policymakers. March 2014 — A new article published in The Electricity Journal examines the implications of increased cyber attacks on companies providing critical energy infrastructure. As power networks and, to a certain extent, oil and gas infrastructure, are becoming increasingly integrated with information communication technology systems, they are growing more susceptible to cyber attacks. February 2014 — To support the U.S. need for cleaner energy sources now and in the long term, a new study by the Joint Institute for Strategic Energy Analysis (JISEA) identifies compelling business models that build from the synergies of two abundant, domestic forms of energy: natural gas and renewable energy. "Natural gas and renewable energy each contribute to economic growth, energy independence, and carbon mitigation, sometimes independently and sometimes collectively," said Douglas Arent, JISEA Executive Director. "With this paper and a larger line of study, JISEA is examining ways these two domestic forms of energy can work in greater concert." The paper, Exploring the Potential Business Case for Synergies between Natural Gas and Renewable Energy, identifies revenue opportunities that emerge from systems-level perspectives in "bulk energy" (large-scale electricity and natural gas production, transmission, and trade) and four "distribution edge" subsectors: industrial, residential, commercial, and transportation end uses. Example areas of potential business collaboration include transmission corridors that serve both technologies, and flexible fuel turbines that allow for fuel diversification, added energy security, and reduced price risk. "To advance a cleaner, decarbonized energy system, we have to look at energy and economic systems in new ways. With this study, JISEA provides a valuable and unique perspective on collaboration rather than competition between natural gas and renewables, and practical insights that can help spur the clean energy economy," said former Colorado Governor Bill Ritter, director of the Center for the New Energy Economy (CNEE) at Colorado State University. CNEE and JISEA co-hosted a workshop to gather expert input on the business models for gas and renewables. "Some of the synergies at the commercial level can be illustrated through an example of a big box store that generates, consumes, stores, and sells energy and provides energy services," said Jaquelin Cochran, lead author of the study. "In this example, we identified numerous potential revenue opportunities for the utilities, energy providers, car manufacturers, municipal waste firms, and many other businesses and service providers. This analysis could potentially inspire entrepreneurial action to transform our energy system." February 2014 — A new study published in the journal Science says that the total impact of switching to natural gas depends heavily on leakage of methane (CH4) during the natural gas life cycle, and suggests that more can be done to reduce methane emissions and to improve measurement tools which help inform policy choices. Published in the February 14 issue of Science, the study, "Methane Leaks from North American Natural Gas Systems," presents a first effort to systematically compare North American emissions estimates at scales ranging from device-level to continental atmospheric studies. Because natural gas emits less carbon dioxide during combustion than other fossil fuels, it has been looked to as a 'bridge' fuel to a lower carbon energy system. "With this study and our larger body of work focusing on natural gas and our transforming energy economy, we offer policymakers and investors a solid analytical foundation for decision making," said Doug Arent, executive director of the Joint Institute for Strategic Energy Analysis (JISEA) and a co-author to the study. "While we found that official inventories tend to under-estimate total methane leakage, leakage rates are unlikely to be high enough to undermine the climate benefits of gas versus coal." The article was organized by Novim with funding from the Cynthia and George Mitchell Foundation and led by Stanford University's Adam Brandt. It was co-written by researchers from Stanford University, JISEA, Energy Department's National Renewable Energy Laboratory (NREL), University of Michigan, Massachusetts Institute of Technology, National Oceanic and Atmospheric Administration, University of Calgary, U.S. State Department, Harvard University, Lawrence Berkeley National Laboratory, University of California Santa Barbara, and the Environmental Defense Fund. "Recent life cycle assessments generally agree that replacing coal with natural gas has climate benefits," said Garvin Heath, a senior scientist at the NREL and a lead author of the report. "Our findings show that natural gas can be a bridge to a sustainable energy future, but that bridge must be traversed carefully. Current evidence suggests leakages may be larger than official estimates, so diligence will be required to ensure that leakage rates are actually low enough to achieve sustainability goals." Official inventories of methane leakage consistently underestimate actual leakage. Evidence at multiple scales suggests that the natural gas and oil sectors are important contributors. Independent experiments suggest that a small number of "super-emitters" could be responsible for a large fraction of leakage. Recent regional atmospheric studies with very high emissions rates are unlikely to be representative of typical natural gas system leakage rates. Hydraulic fracturing is not likely to be a substantial emissions source, relative to current national totals. Abandoned oil and gas wells appear to be a significant source of current emissions. Emissions inventories can be improved in ways that make them a more essential tool for policymaking. December 2013 — JISEA Deputy Director Morgan Bazilian contributed a forward to the World Economic Forum's annual Global Energy Architecture Performance Index Report, which ranks the energy systems of 124 countries according to economic, environmental, and energy security indicators. December 2013 — In a report airing December 2 on National Public Radio's All Things Considered, JISEA's Doug Arent discussed findings of NREL's Renewable Electricity Futures Study, which he co-authored. The report aired on the eve of a release of a new National Academies of Science report on climate change, and examined changes in energy systems that would be needed to curb it. While fossil fuels still comprise the bulk of the world's energy diet, RE Futures looked at a scenario in which the United States relies on wind, solar and other renewable energy supplies for at least 80 percent of electricity needs by the middle of this century. "Our results, from a technical nature, show that you could meet demand every hour of the year, with up to 80 percent of it coming from renewable resources," said Arent. "What we found was that there were many pathways, and there wasn't a red flag that said it was impossible, at least at the level that we looked at it." The story also featured Stanford University's Sally Benson, a frequent collaborator with JISEA. "I think there's lots of good news on the technology side, and I think [many of] the smartest engineers and scientists at universities around the world … are focused on this challenge," Benson said. "And the students love this. This is what they want to devote their life to. So from that perspective, I am quite optimistic." Read or listen to the full story. October 2013 — Two new works funded through JISEA's Innovative Research Analysis Award Program (IRAAP) have been published in scientific journals. "Renewable energy potential on marginal lands in the United States," authored by a team from NREL and Stanford University, appears in the January 2014 issue of Renewable and Sustainable Energy Reviews. This study identifies several marginal land categories suitable for renewable energy development, and calculates the technical potential for various technologies on these lands. "Power systems balancing with high penetration renewables: The potential of demand response in Hawaii," authored by a team from NREL and the Massachusetts Institute of Technology, appears in the December 2013 issue of Energy Conversion and Management. This analysis indicates that demand response has the potential to smooth power system operation in Hawaii with high RE penetration, and that production cost savings could arise from improved thermal power plant operations and increased wind production. Through IRAAP, JISEA funds collaborative, multi-disciplinary research that works toward a more sustainable global energy economy. October 2013 — Doug Arent is among the authors of a new, multi-institutional report for the 21st Century Power Partnership—Market Evolution: Wholesale Electricity Market Design for 21st Century Power Systems. Variable renewable energy resources comprise an increasing share of electricity generation globally. At the same time, opportunities for addressing the variability of renewables are being strengthened through advances in smart grids, communications, and technologies. A key challenge of merging these opportunities is market design—creating incentives and compensating providers justly for attributes and performance that ensure a reliable and secure grid. This report reviews the suite of wholesale power market designs in use and under consideration to ensure adequacy, security, and flexibility in a landscape of significant variable renewable energy. Authors from China National Renewable Energy Center, Energinet.dk, Global Green Growth Institute, IBM, International Copper Association, NREL, Universidad de Castilla La Mancha, and VTT Technical Research Centre of Finland also contributed to the report. Read the report or learn more about the 21st Century Power Partnership. October 2013 — JISEA Deputy Director Morgan Bazilian has been named to the Japan Renewable Energy Foundation's Innovation Network. The JREF Innovation Network was established in 2012 to facilitate the exchange of information and proposals geared toward the evolution of Japan and the world into a sustainable society based on renewable energy. Network members are experts in renewables, energy efficiency, and climate change policies. Learn more about JREF and see Bazilian's Information Network profile. 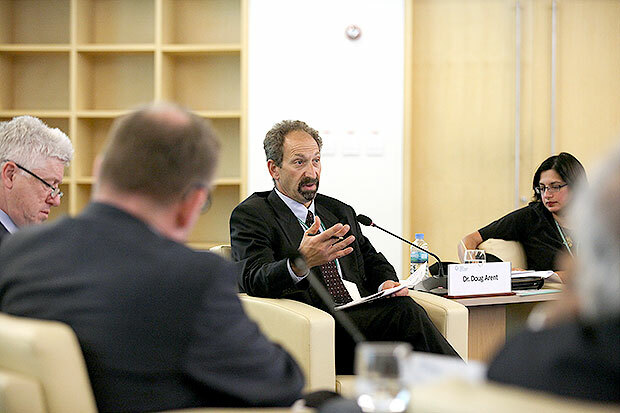 Dr. Doug Arent, executive director of the Joint Institute for Strategic Energy Analysis, participated in a panel discussion at the Global Green Growth Summit 2013, which was held on 10 – 11 June, at Songdo Convensia, Incheon, Republic of Korea. Under the theme of "The Future of Green Growth," the summit focused on the nexus of finance, innovation, and policy. The summit featured 60 invited speakers and more than 600 participants from 55 different countries. Doug Arent discussed finance, innovation, and policy at the Global Green Growth Summit 2013, which attracted 600 participants from 55 countries. February 2013 — The journal Mitigation and Adaptation Strategies for Global Change: An International Journal Devoted to Scientific, Engineering, Socio-Economic and Policy Responses to Environmental Change has named JISEA Executive Director Doug Arent to its editorial board. As an editorial board member, Arent will advise the editor on related issues, review manuscripts, and invite authors to submit papers on the relevant topics. The journal is regarded as an important journal within the field and is available both online and in print. December 2012 — In recognition of the major transitions occurring within the U.S. energy economy, the Joint Institute for Strategic Energy Analysis (JISEA) and Stanford University's Precourt Institute for Energy (PIE) engaged diverse energy system stakeholders in a discussion about robust, objective, and timely research priorities relating to natural gas. Opportunities and challenges in the transportation, industrial, and buildings sectors. The workshop was convened to help define a future research agenda to be undertaken by a collaborative effort of JISEA and PIE. The Joint Institute for Strategic Energy Analysis (JISEA) released the first report in a series of studies on natural gas and the U.S. energy sector. Entitled "Natural Gas and the Transformation of the U.S. Energy Sector: Electricity," this report provides a new methodological approach to estimate natural gas related greenhouse gas (GHG) emissions, tracks trends in regulatory and voluntary industry practices, and explores various electricity futures. "There is currently a national debate over life cycle GHG emissions from shale natural gas," NREL Senior Scientist Garvin Heath said. "We address it by conducting one of the first independent 'bottom up assessments' in this field." Published results of natural gas life cycle GHG emissions rely on very limited data, include a broad range of analytic assumptions, and have results that vary considerably. The JISEA study leverages inventories of air pollutant emissions from more than 16,000 sources in Texas' Barnett Shale, providing the first estimate of life cycle GHG emissions using an independent harmonized data set. The JISEA study found that life cycle GHG emissions associated with electricity generated from 2009 Barnett Shale gas were very similar to conventional natural gas and less than half of those from coal-fired electricity generation. JISEA also looked at how legal and regulatory frameworks governing shale gas development are changing in response to public concerns, particularly in areas of the country that have less experience with oil and gas development. "The report is intended to inform both the national and international dialogue on this subject in a few key areas critical to decision makers," JISEA Executive Director Doug Arent said. July 2012 — Morgan Bazilian will join the Joint Institute for Strategic Energy Analysis (JISEA) as Deputy Director. In this new role, Bazilian will define and lead JISEA analytical activities and help develop and administer programs. He will also join the senior management team of NREL. Bazilian is a former special advisor to the Director-General of the United Nations Industrial Development Organization (UNIDO) on international energy issues. He is regarded as one of the leading global experts on international energy policy, and has most recently been closely associated with the UN's Sustainable Energy for All initiative. "Morgan will contribute to the further development of JISEA sponsorship and programs and provide thought leadership to expand the impact of our interdisciplinary research in global energy systems," JISEA Executive Director Doug Arent said. "He brings two decades of experience in the energy sector ranging from upstream oil and gas policy, to the design of fiscal instruments to promote clean energy." "I am excited and deeply honored to join JISEA and help advance the institute's work to inform the transition of the global energy economy," Bazilian said. "We will continue to answer questions to enable a transition at significant speed and scale to achieve sustainability and avoid unintended impacts." Bazilian holds doctoral and master's degrees related to the techno-economic aspects of energy systems, and he was a Fulbright Fellow. His book, Analytical Methods for Energy Diversity and Security, remains a key text on risk in the energy sector. He holds senior research affiliations with the International Institute for Applied Systems Analysis and the Electricity Policy Research Group at Cambridge University. In previous positions, Bazilian helped shape the United Nations' approach to energy for development, and managed the UN's interagency energy mechanism — UN-Energy. Before that, he held a political appointment as chief of staff for the Minister of Energy in Ireland and directed the clean energy division of Ireland's national energy authority. 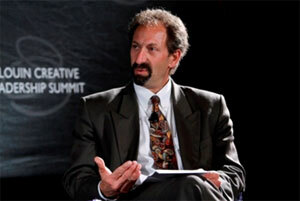 Bazilian had been the lead climate change negotiator for the European Union on low-carbon technology. May 2012 — The May issue of Energy Policy featured an analysis of nuclear and renewable energy synergies, which was based on work funded through JISEA's Innovative Research and Analysis Award Program (IRAAP). The article, "Decarbonizing the Electric Sector: Combining Renewable and Nuclear Energy using Thermal Storage," was co-authored by NREL's Paul Denholm and Charles Kutcher, Jeffrey King of Colorado School of Mines, and Paul Wilson of University of Wisconsin-Madison. April 2012 — The Joint Institute for Strategic Energy Analysis (JISEA) and the American Clean Skies Foundation (ACSF) hosted the third Clean Energy Regulatory Forum (CERF III) to explore ways to advance clean energy and energy efficiency in the rules and procedures of public utility commissions, regional transmission organizations, and the Federal Energy Regulatory Commission. Held April 19–20 on NREL's Golden, CO campus, CERF III focused on solar power and synergies with other clean generation and grid options. "Creating a cleaner energy system requires work on many levels, some glamorous and some highly technical," said Douglas Arent, JISEA Executive Director. "In this forum, we focused on identifying and creating regulatory reforms that can assist in reducing greenhouse gas and other harmful pollution from America's electricity sector. This is vital to creating a cleaner electricity sector." Find more information and links to all CERF III presentations on cleanskies.org. 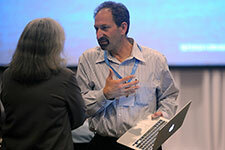 March 2012 — JISEA, a transdisciplinary global research group focused on the nexus of energy, environment, finance, and society, addresses transformational trends in the global energy economy at its annual meeting, March 7–8 in Golden, Colo. The second annual meeting brings together key stakeholders from across the financial, legal and industrial sectors as well as academic research teams. See press release for details. On November 8-10, Joint Institute Executive Director Doug Arent participated in the Doha Carbon and Energy Forum as a panelist, and helped facilitate components of the event. This forum, which was invitation-only, included about 150 experts from the region and internationally. The forum was organized by the Qatar Foundation in conjunction with Texas A&M University at Qatar. Its main objective was to provide a platform for experts from around the world to discuss and address current and emerging energy and greenhouse gas challenges in Qatar and in the region. Participating companies and institutes with near-to-market technologies and capabilities discussed RDD&D opportunities and steps necessary bring expertise and commercialization opportunities in Qatar and the region. The forum clarified an understanding of the region's strategy (Vision 2030), mechanisms and institutions for supporting promising technologies in carbon capture and storage, energy efficiency and alternative energy technologies leading to recommendations related to emerging technologies, regulatory frameworks, and industrial developments and applications relevant for the region. Arent and other panel members spoke directly with Mohammed Al-Sada, minister of state for Energy and Indusrial Affairs. Arent also identified potential collaborators to support the DOE/DOS initiative in Qatar in support of NREL's Ron Benioff and Larry Kazmerski. Doug Arent spoke about clean energy technologies during a leadership summit in New York City. Joint Institute Executive Director Doug Arent recently participated in the annual Blouin Creative Leadership Summit in New York City on September 22-23. The summit brings together 120 leading figures in the areas of science, technology, culture, business, and politics. During the two-day event, delegates discussed the critical threats and opportunities presented by globalization at the local and global levels. Arent focused on the role of clean energy technologies to meet climate challenges and options for accelerating the use of these low carbon solutions globally. The summit is a think-tank forum organized by the Louise Blouin Foundation in collaboration with the United Nations Office for Partnerships. The open, multidisciplinary exchange generated by the summit allows heads of state, business leaders and scholars to develop new solutions to the challenges posed by poverty, conflict, and economic instability. The Intergovernmental Panel on Climate Change (IPCC) has named Joint Institute Executive Director Doug Arent as a lead author for its Fifth Assessment Report (AR5) cycle. The IPCC's work on AR5 is divided among three Working Groups, and Arent will be one of the Coordinating Lead Authors (CLA) of Chapter 10 for Working Group Two. As a CLA, Arent will work with co-CLA Richard Tol and a team of seven authors from around the world to contribute to the global assessment of current literature and make a determination of what it means for the current state of climate change. Arent's working group will specifically look at the vulnerability of socioeconomic and natural systems to climate change, negative and positive consequences of climate change, and options for adapting to it. AR5 is scheduled to be completed in 2013. The IPCC was established in 1988 by the United Nations Environmental Program and the World Meteorological Organization to assess, on a scientific basis, the risk of human-induced climate change, its potential impacts, and options for adaptation and mitigation. December 14, 2010—"Modeling and Simulation Aspects of Topological Design of Distributed Resource Islands." During this presentation, Sid Suryanarayanan of the Department of Electrical and Computer Engineering (ECE), Colorado State University; and Sriram Sankaranarayanan of the Department of Computer Science (CS), University of Colorado, gave an overview on modeling distributed generation. As electric power distribution systems evolve under the Smart Grid Initiative, an optimization problem is defined to simultaneously determine optimal locations for distributed generation (DG) and feeder interties. This is done in a legacy radial distribution system to improve reliability in the islanded mode of operation. An evolutionary approach using the Multi Objective Genetic Algorithm (MOGA) is also formulated. The choice of this algorithmic approach is justified due to the intractability of the problem associated with optimal location of DGs and feeder interties for large distribution systems. During this presentation, the speakers discussed a filtering technique using machine learning (ML) for improving performance by avoiding expensive simulations for potentially suboptimal inputs. The algorithm is applied to a test system, which explores two methods of expressing the load. In both cases, similar satisfactory design solutions are obtained. September 13, 2010—"Energy Efficiency in Buildings and Industry: A Low Carbon Future." Energy efficiency has had a substantial impact on U.S. energy consumption since the 1970s. Some products (e.g., refrigerators, clothes washers, central air conditioners) have made dramatic (50%–70%) energy-use improvements over the years, resulting from a combination of technology innovation and policies. A future with low greenhouse gas emissions is technologically and economically feasible, and energy-efficient technologies will make a major contribution to this future. Additional contributions from systems (buildings, cities, electricity supply) including human behaviors will be critical. During this presentation, James E. "Jim" McMahon, of Lawrence Berkeley National Laboratory, discussed methods and examples for technical and economic analysis of energy efficiency standards. He will describe energy, economic, and environmental impacts, both retrospectively and prospectively to year 2035. He'll also highlight additional elements for reducing industrial energy demand. August 5, 2010—"From Trades to Turbines: The Art and Science of Wind Energy Resource Assessment." During the past 20 years, the Risø-DTU National Laboratory for Sustainable Energy has been one of the world's leading institutions for wind resource assessment. Using a combination of measurements and fast-flow modeling, they developed the European Wind Atlas in 1989. As a result of this project, the "WAsP" method also was developed and is now used in nearly 90% of the wind farms built today. The WAsP wind resource method allows high-resolution data to be incorporated into the wind resources assessment. In 2001, through the use of meso-scale models combined with the WAsP method, Risø-DTU also developed the Numerical Wind Atlas method (KAMM/WAsP method). During this presentation, Hans Jørgensen, of Risø-DTU, talked about the method used to calculate the annual resource with the option to cover monthly resources as well. In addition to the KAMM/WASP method, Jørgensen's group has developed a dynamic method that includes the daily variation. These methods have been applied in various regions around the world and Jørgensen gave an introduction to the different methods developed at Risø-DTU. He included examples and verification from the Egyptian, Chinese, South African, Indian, and Danish wind atlas. July 12, 2010—"The Status of CO2 Capture and Storage Technology,"
Edward Rubin, of Carnegie Mellon University, gave an overview of carbon dioxide (CO2) capture and storage (CCS) technologies applicable to combustion-based and gasification-based electric power plants that are fueled by coal, natural gas, biomass, or other carbonaceous fuels. He summarized the performance and cost of current systems along with the major factors that affect these parameters. Several measures of cost were discussed, including capital cost, added cost of electricity generation, cost per ton of CO2 captured, and cost per ton of CO2 avoided. The seminar also discussed the effects of CO2 capture technology on overall plant efficiency as well as the impacts on other environmental emissions. Rubin presented a range of CO2 transport and storage costs to illustrate the dependency of total plant-level costs on geographical and geological characteristics and variability. The outlook for lower-cost CCS technologies also was examined and Rubin presented a publicly available modeling tool for estimating CCS costs. May 14, 2010—"Renewable Energy Integration and New Storage Concepts." This seminar, presented by Michael Sterner of Fraunhofer Institute, discussed linking the grid to renewable energy technologies. Germany is planning to increase the use of renewable energy (RE) to a full 100% supply. Many challenges have been solved, and many — such as energy storage — are still ahead. Sterner's talk gave firsthand insights into the current energy scenarios of the German government up to 2050. He also will discuss the challenges, possible solutions for renewable energy integrations, and a new way to store energy by linking power and gas networks. He'll also present an outline of a possible transformation toward low-carbon energy systems.